When choosing a school holiday childcare provider you need to know that all relevant policies and procedures surrounding your child’s stay at Active Camps is in place. This section outlines the key policies, procedures and safety information that all parents should expect their school holiday childcare provider to be adhering to. Registration for all activities will be signposted at each Active Camps venue. We ask you to register at least 10 minutes prior to the pre-booked start time. It is essential that a parent/guardian registers and signs out their child. If another adult is collecting your child, or you are collecting your child before the pre-booked pick up time then please inform the Active Camps Co-ordinator. This is important, as sign out is not available under normal circumstances until 15 minutes prior to pick up. 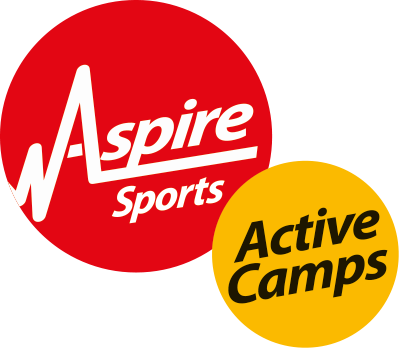 Aspire Active Camps believe that it is always unacceptable for a child or young person to experience abuse of any kind and recognises its responsibility to safeguard the welfare of all children and young people, by a commitment to practice which protects them. A copy of our full Child Protection Policy is made available for you at each venue. However, you may wish to read over it prior to booking your child into Active Camps. Contact us if you wish to do this and we'll happily provide you with a copy. Education and understanding of other people's needs and backgrounds will be fostered to promote positive behaviour and attitudes. Discriminating behaviour, attitudes and comments will be challenged, regardless of whether they are from children, staff or parent/carers. We will regularly review our policy and amend it where necessary. Our Anti-Bullying Statement is available for you to see at each camp venue. If you'd prefer to read it prior to attending then please contact us for a copy. Our Behaviour Code of Conduct is available to see at each camp venue. Alternatively, you may contact us to view this policy. We would expect you to inform us both verbally and via your booking of any potential behaviour issues that would help us deal with your child whilst at Active Camps. You should be aware of the expected behaviour when your child attends camp and we would expect you to support any action taken by our staff to encourage good behaviour. Our Concerns and Complaints Policy is available to see at each camp venue. Alternatively, you may contact us to view it and ask any further questions.